Nothing brings the family together like an adventure. Based in Flimby, Maryport, GSK Motorhome Hire is proud to offer enjoyable motorhome hire. The top-of-the-line motorhomes we provide will act as your base of operations during an exciting voyage on the open road. To make your motorhome holiday as comfortable and hassle-free as possible, we provide a number of items. Should you require any additional items, don’t hesitate to get in touch. Booking with GSK Motorhome Hire is completely straightforward. Simply send us an email, or call with the dates you are interested in, along with any extras that you require. Then, we will reply with a booking form and a confirmation of the cost. An initial payment of £200 is required to confirm your booking. This is non-refundable, and enters you into a binding contract for the hire. You are free to pay via BACS, debit card, or credit card. A 2.5% fee is charged for credit card payments. You will also receive a form laying out our terms and conditions agreement. 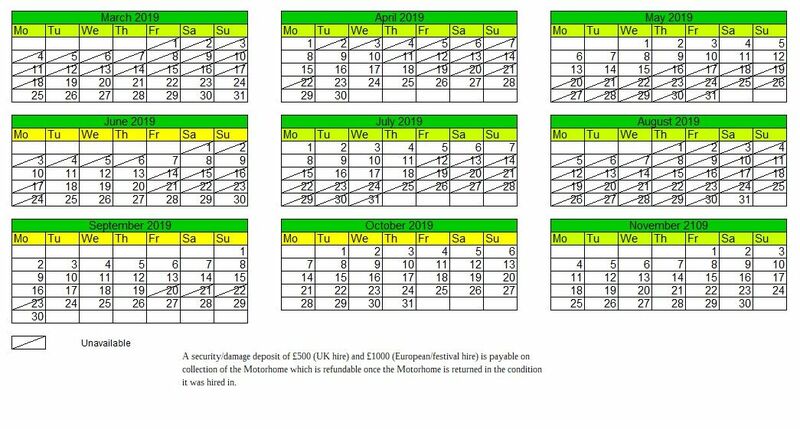 The final balance of your holiday must be paid 6 weeks before your hire date. 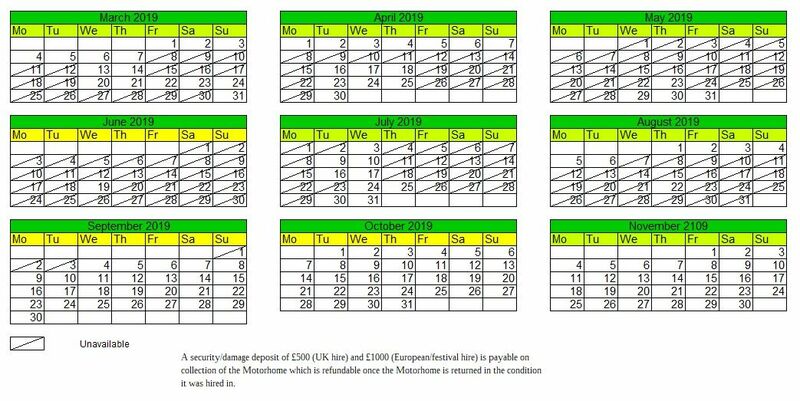 A security deposit of £500 (UK hire) or £1000 (Europe and festival hire) is payable upon the collection of the motorhome. 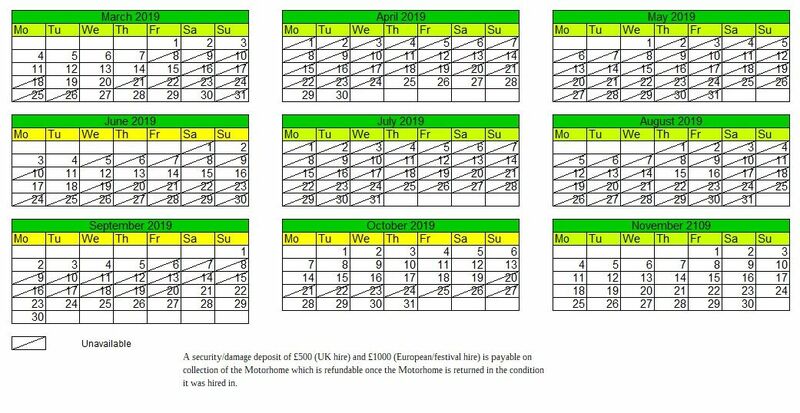 This is refunded once we have checked the motorhome for any damage upon return. The motorhome must be returned in the same condition it was collected. Contact us today, in Flimby, Maryport, to learn more about the motorhomes and motorhome hire we offer.